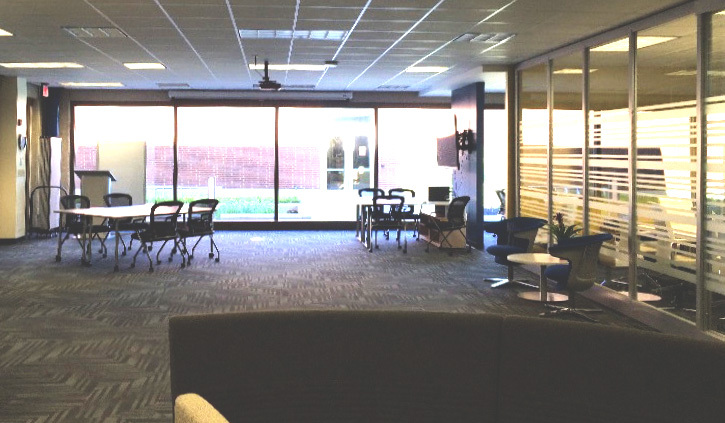 Uses: Before and After, Corporate, Education, Library Colors: Gray/White Lengths: 7 panel 13'-1" Heights: 6'-0"
The Hackelmeier Memorial Library at Marian University offers a variety of group study areas and study suite rooms for use by students, faculty, and staff. Recently, they have seen an increase in the use of these spaces and needed to locate other areas their facility to accommodate department meetings and functions. 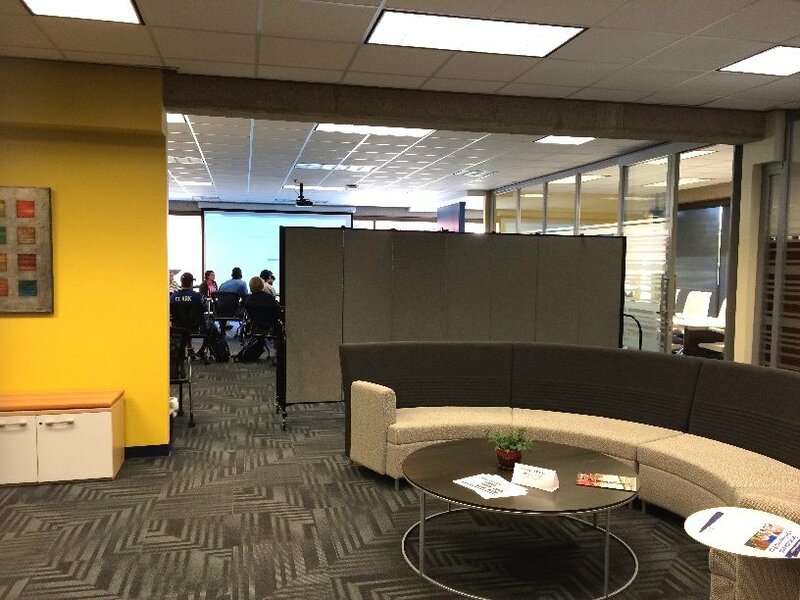 The staff rolled a Screenflex Room Divider across a large reception area to convert the space into a classroom for presentations and meetings. The dividers used at Marian University are covered with fabric allowing the staff to display items on the panels. Items can be pinned, tacked or stapled to the panels.